Don't forget to follow us on Instagram and tag us in all your cheer pix! There will be TWO off season practices on JULY 12 and JULY 16 from 12pm-2pm. You will be learning and reviewing material for the upcoming year! Please contact Jess G., Jess K, or Anna for details! Anyone trying out in the fall is HIGHLY ENCOURAGED to attend AT LEAST ONE car wash. Coaches will stop by and see who is there!! Our goal is to raise $1,000 before the season to help pay for choreography! 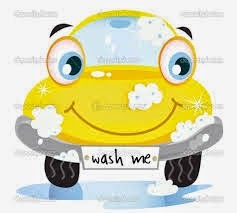 The more money you make at car washes... the less fundraising you have to do later on! Coach Lauren finally finished unpacking her new place and found the Ocean City DVD--- ENJOY! For your information, the JV football season schedule has been posted. Check out the JV calendar for dates and times!